The unique and diverse Diana jewelry brand has built its name on exquisite craftsmanship and magnificent style since it’s inception almost a century ago. Diana has been crafting fine jewelry since 1925, originally under the name of Krementz & Company, then in 1992 the name Diana was officially settled on in recognition of its timeless design and elegant style. 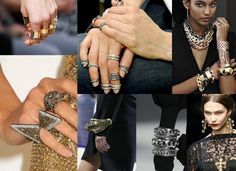 Since then, the Diana designer ring has been at the forefront of finely crafted designer jewelry and hasn’t looked back. Planning a wedding in your hometown can be a challenging task to say the least. The guestlist can become enormous pretty quickly, and if you start cutting it down, you’re bound to offend a distant cousin whose name you can barely remember. So, what better way to avoid all the drama, than to get hitched in an exotic location far far away from home? Here is a list of ideal locations for the perfect dream wedding. Buying a diamond can be a daunting task. 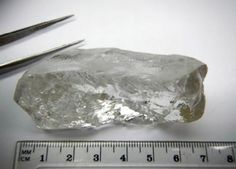 Some diamonds can be considered investments, while others will lose value over time, making them difficult to sell in the future, should you want to. There are a number of signs to look out for when hunting for the perfect diamond for you. 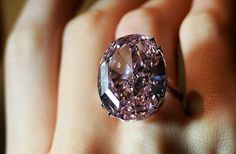 If you’re looking for a piece of jewelry that carries timeless style, history and heritage then you’re likely in the market for an antique or vintage piece. 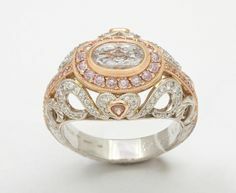 The vintage engagement ring has become one of the most popular ways to pop the big question to your loved one. With vintage style, comes ornate design details, and an air of sophistication that cannot be matched today. Nothing says “I love you” quite like a classic vintage engagement ring. 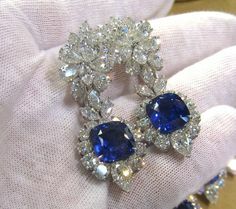 There are a few designers today who are truly on the cutting edge when it comes to vintage jewelry design. There is no better bang for your buck when it comes to purchasing an engagement ring, than the diamond halo engagement ring. The diamond halo first came to prominence in the 1920s during the Art Deco period. But in recent years, the diamond halo has made a seismic come back, thanks to its classic appeal and its extra brilliant appearance, and it now finds itself only second in popularity to the classic solitaire diamond ring. The word Ruby comes from the Latin word “ruber”, which simply means red, but the ancient Hindus called the Ruby “Rajnapura”, which translates to the king of the gems. The ruby is indeed one of the most prized and valuable gemstones of all. It was once considered to have special powers, and was even used as a shield against evil spirits if worn by royalty. If it’s red coloring became more intense, then danger was near, but when the evil spirits went away, the ruby would restore itself to its original shade. Some ancient tribes believed that the ruby, when ground down into a powder and ingested, was a cure for indigestion, while other tribesmen believed that the ruby could boil water instantly. In Ancient Greece, it was said that if a ruby jewelry worn on the left hand, it would bring good fortune to the wearer, making a ruby ring the perfect engagement ring.